One of the cool things you can do with SOQL is to use it to calculate aggregate data. As Salesforce admins, we use aggregate data all the time, when we create summary reports or roll-up summary fields. The types of aggregate values we can calculate with SOQL are: MIN(), MAX(), AVG(), SUM(), COUNT(), and COUNT_DISTINCT(). Most of these are pretty straightforward, but COUNT() and COUNT_DISTINCT() could use a little more explanation. The SOQL code above will query Salesforce and return the number of rows in our recipe__c object. COUNT_DISTINCT() returns the number of distinct (e.g., not duplicative) value in our query based on a particular field. The SOQL code below will query Salesforce and return the number of rows in our recipe__c object that have unique values in the name field. COUNT() would return a record count of 7, while COUNT_DISTINCT(name) would return only 6. This is because “Hot Cross Buns” appears in the name field of two records. While keywords MIN(), MAX(), SUM(), and AVG()are pretty self-explanatory, I think that there are a few cool not-so-obvious ways to use them that are worth a mention. As you can imagine, MIN() finds the lowest value, and MAX() the highest value – but this can be used not only with numbers, but also with dates (finding the earliest/latest date), as well as with text fields and pick lists (sorting and then finding the first/last values). Neat right? SUM() and AVG() can only be used with numeric fields, and as you can probably guess, respectively add field values together and return their average value. Results in the following…9.7 hours-worth of cooking pleasure! If aggregate functions are cool, then using them with the GROUP BY key phrase is, like, off the chart RAD! What GROUP BY allows us to do is to calculate aggregates that are grouped by particular values. Again, this is what we do when we create a summary report, and using the Group Drop Zone. As you can see, we only have one dessert and one baking recipe that are quick to make. Seems like we need to add some more! Hmmm…I think there is the subject for another post in here…can someone say DML? There’s another way to filter SOQL aggregates, which allows us to calculate aggregates for records that fall within a certain criteria. For this, we can use the HAVING keyword. While WHERE filters records before they are aggregated, HAVING filters aggregates after they have been aggregated. If you compare this with the earlier screenshot, you’ll see that the “Main Course (Beef)” is missing; that’s because it contains only one recipe and is filtered out of our results set using the HAVING keyword. If you’re a proud #DataNerds like me this is a lot of fun…and it’s only the beginning! Let’s move on to working with dates and dates/times. Dates and date/times are always a little tricky to work with, because they can be entered in so many ways. Take the date that I’m writing this post (4/25/15 at 8:40AM Pacific Time). I could write that any number of ways…I’ve listed just a few…and not all of these are acceptable formats to feed SOQL. 2015-04-25T08:40:15-08:00 <–This is one of a few date/time formats acceptable to SOQL. So how are we going to deal with all those options? So-o-o glad you asked! You have two options when dealing with dates and times in SOQL: either pass a specific date, or use a date placeholder (e.g., TODAY or TOMORROW). Let’s look at how you would use both! Using this option, we are directly specifying a particular date or date/time. SOQL is a pretty darn picky eater, so in order to use this option, you must feed (aka format) it Date/DateTime values in very specific ways. 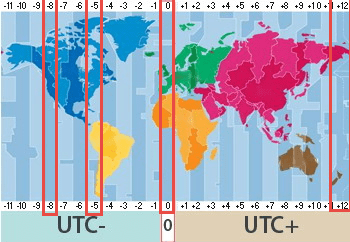 “Z” is used instead of a TimeZone offset if the dateTime is within the actual UTC Zone. Random fact – this is also known as “Zulu” time. All the above represent the same date/time, just with different TimeZone offsets. The first is Pacific Standard Time, the second is Eastern Standard Time, the third is New Zealand Standard time (Go Kiwis! ), and the last is Zulu time. Check out this fabulous World Clock TimeZone Converter. You gotta love the Internet; there is a tool for everything! This will look for any recipe that was created between 1/1/15 and 1/31/15; but not records actually created on either of these dates. We are specifically looking here at records created after 1/1/15 and before 1/31/15. If you wanted to include both dates, then there is a quick fix for that; just add an equals sign after to the greater and lesser sign. This literally means “greater than or equal to” (e.g., >=) and “Less than or equal to” (e.g., <=). The second way we can use dates is much easier (and more dynamic), because it doesn’t require us to enter a particular date, but instead uses a placeholder for date ranges. These are called “Date Literals,” and include options like YESTERDAY, TODAY, TOMORROW, LAST_WEEK, etc. We have this same function available to us when we create reports in Report Builder, and choose one of the standard date ranges. The great thing about this is that instead of having to update our query with a new specific date range, we can feed it a placeholder which is always going to be relative to today. For example, say you want to run a query that pulls out all the recipe’s that were created THIS_MONTH? If we used date option one (specific values), we’d need to update the dates in the query each month. Not so with Date Literals. You just use the placeholder of THIS_MONTH, and you never have to change it again. No matter what date it was, it would always pull out the entries created in whatever month you were in! Wa-a-a-ay cool! I’ve talked about some of the options for Date Literals, but there are a ton more. Definitely check out your options at the SOQL Date Formats and Date Literals Documentation on Salesforce. That’s enough about working with dates, let’s move on to some other cool stuff, like…well…LIKE! I love using comparison operators. Could be that I’m a little nutty (nah! ), but I suspect, deep down you are with me on this. Operators are cool, because we use them in WHERE clauses to help us find just the data we’re looking for. Super awesome! We’ve used some in this and previous posts. For example, we know about using =, != (including how to stamp your foot when you use it! ), <, >, and even <= and >=. But what is this “LIKE” operator? What the heck is that used for? LIKE is a very special operator, because it can be used, along with wildcards, when we don’t quite know what we’re looking for in a text string. We also said that there was yet another way to query Salesforce and look for the same records…well congratulations, because you’ve made it to “that time” where I reveal the super-secret-ey secrets of SOQL. Check this out! Let’s see some other use cases that are super awesome. What if you wanted to find all the Contacts whose first name starts with the letter “S”? Super simple! I hate to tell you this, but we’re almost at the end of our intro to SOQL. I know…sad right? But before we do one final wrap up, I made a promise in my first post that I’d talk about how SOQL differs from its older sister SQL (Structured Query Language)…so here we go. The difference between sassy SOQL and sophisticated SQL? Unlike in SQL, you can’t modify data with SOQL, only retrieve it. In Force.com coding, we use DML to programmatically modify data. We talked a little about this in my sObject post, but I’ll cover that more in a later post. In SOQL, we use dot notation directly in the select statement to pull data from related objects, rather than creating official Join statement as we would in SQL. In SOQL, WHERE clauses searches that use the LIKE keyword are not case sensitive (we mentioned that above). There are some other, more subtle differences, but for the most part, SOQL and SQL are pretty alike. Phew! Congratulations! You’ve made it through three posts on SOQL and you lived to tell the tale. By now, you will have all you need to get started with SOQL (and then some!). This isn’t everything that we could talk about, but this is definitely enough for you to get into some your SOQL freak on. You can probably tell that I really love SOQL and hope that you’ve gotten some helpful tips and tricks out of this series. SOQL is used to pull data out of Salesforce Objects (also known as “querying the database”). Like Apex, for the most part, SOQL is not case sensitive. SELECT – Which fields do you want to see? FROM – What object are you pulling from? LIMIT – How many records do you want to pull? ORDER BY – What sort order do you want? ASCending or DESCending? If you don’t specify an order, then SOQL will assume ascending. WHERE – How do you want to filter the results? LIKE – Used to filter for text strings, and can be used with the “%” and “_” wildcards. We use Dot Notation to move from a child up to a related parent object. We use Subqueries to move from a parent down to a child relationship. Use HAVING filters aggregates after they have been aggregated. That is massive! Nice job you! Until next time…see you in the cloud coding kitchen!